Morning journey start to Rishikesh. Before noon arrive Rishikesh. Than go for Jungle trek, waterfall, Vashist Cave. Than go to base camp. Welcome drink, after that served hot lunch. Afternoon is free for the view the area. In the evening camp activiti/game, campfire, snacks and dinner. Overnight stay in camp. After breakfast drive to Kaudiyala. 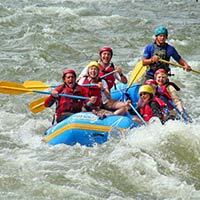 Start river rafting kaudiyala to shivpuri. 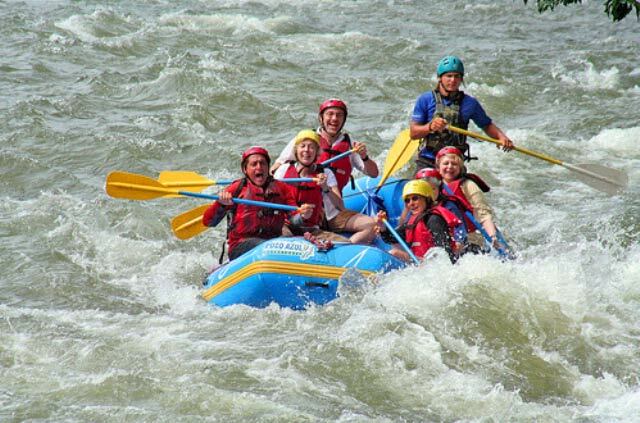 You can hit the some enjoyable rapids like Three Blind Mice", THA WALL, Crossfire. Than arrive Shivpuri. In the evening play games, dinner, campfire and overnight stay in camp.